Introduced in 2003, this model reflects a highly successful alliance between classic and avant-garde design concepts. The MOVADO Elliptica Round chronograph comes in an elegant round case. 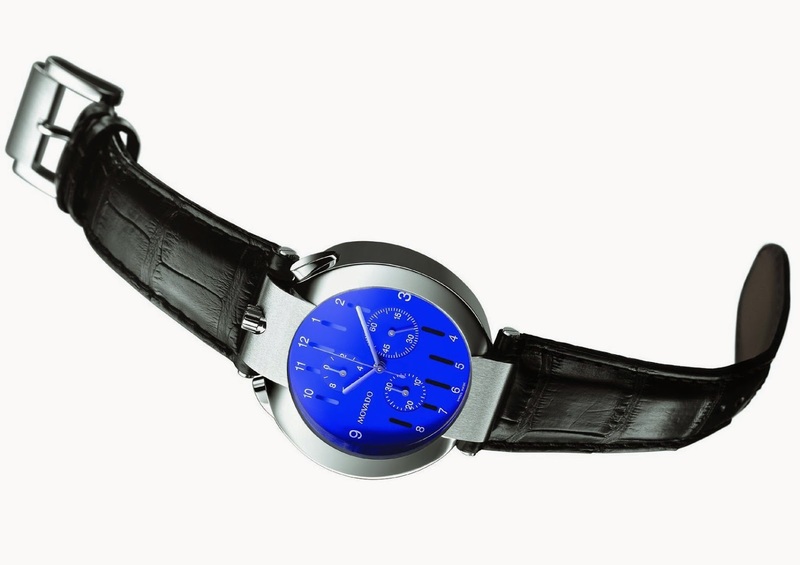 The blue dial is embellished with vertical lines in dark blue, together with silvered Arabic numerals. And a highly original detail: the crown, flanked by two push-buttons in the shape of an ellipse, is located at 12 o’clock.